First of all, let’s assume you’re in a regular car. It’s not a high car like an SUV or 4×4. And it doesn’t have special tyres. The first thing to remember is that it hasn’t been designed for driving through mud. The tread on the tyres is meant to displace water at speed, not a thicker substance. That will result in the grooves in between the tread blocks instantly filling up with the thick treacly mud. That in turn leads to a reduction in grip. Your car is going to sink in the mud to a greater or lesser degree. What will happen is that the weight of the car will displace the wet mud until you hit a solid surface. This should prevent it from sinking further. But this is still going to be slippery and to get through this you need momentum, but not too much of it. You want the weight of your car to push down on the solid surface beneath the mud. That means your tyres should be inflated to the air pressure recommended by the car manufacturer. If your tyres are underinflated, the weight of the vehicle will be spread. This will mean more mud to displace, more friction and a greater chance of getting stuck. If it’s touch and go whether you’ll make it through without a tow, you might want to find your towing eye and, if need be, screw it in. 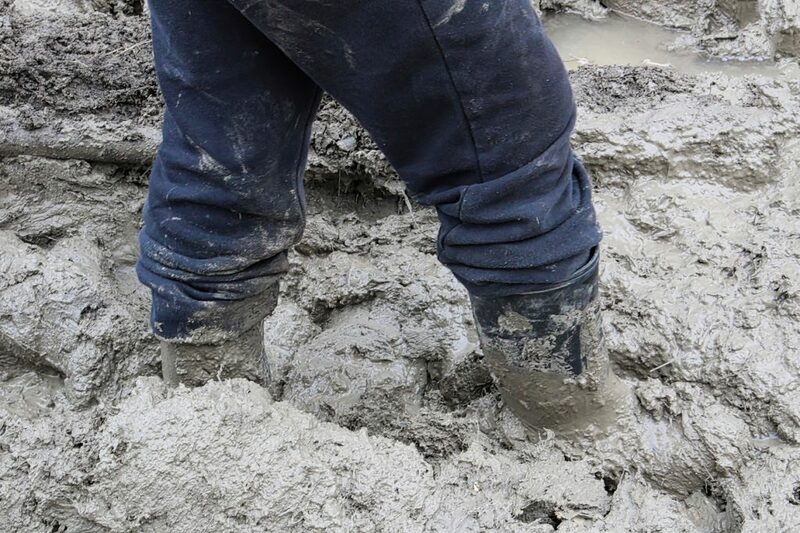 Alan’s advice: You may need to get muddy so put some sturdy boots or wellies in the car. And a disposable plastic sheet (a bin liner will do) will let you kneel on mud without getting too dirty. Just as you wouldn’t drive through a stretch of water without knowing how deep it is, so you shouldn’t drive through mud without knowing its depth. 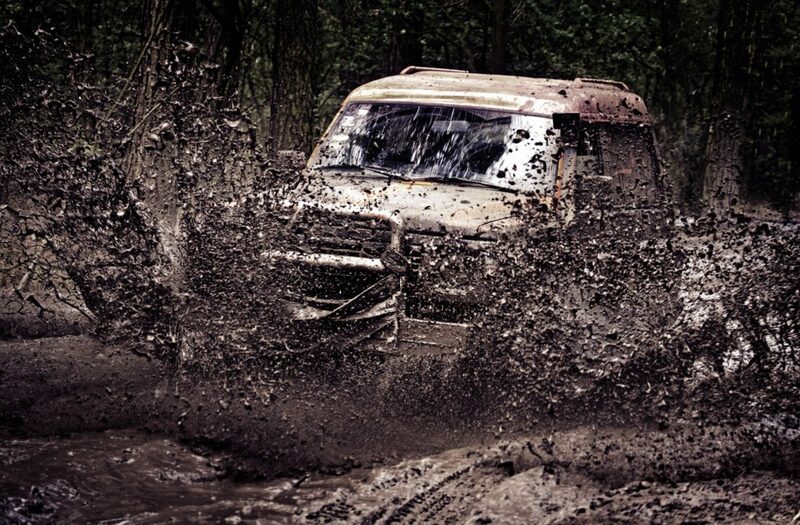 This is where you get muddy. 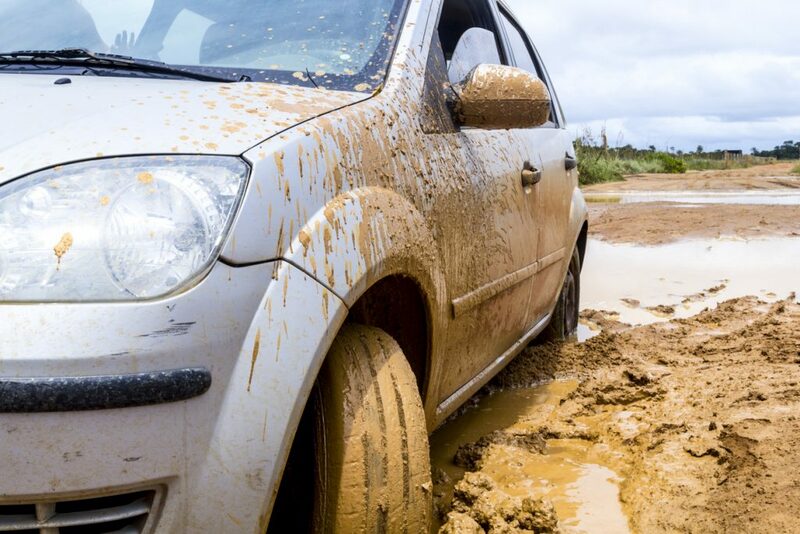 Get out of the car and use a stick to prod the mud on the route you’ll be taking. You’re looking to see how deep the gloopy stuff is and how far below it the ground becomes solid. What you must bear in mind is how much – or little ‑ ground clearance your car has. There might be ruts but if they’re very deep, your car’s belly will beach on the ridge in between. It might make sense to stick to one side of the track where there are no ruts. Alan’s advice: This might sound strange but where there are puddles, there’s every chance the ground beneath is good and solid: that’s why water is puddling there. Even so, you still have to know how deep the water is! Lastly, check the entire route. The first 20m might be fine but round the corner there might be muddiest incline you’ve ever seen. The key is to keep moving. The other key is not to go too fast. You don’t want too much power as that will just cause the wheels to spin and the car to dig in. It’s a tricky balancing act. First make sure the route ahead is clear. Then accelerate in first gear allowing engine tickover to drive you forwards. Apply a bit of gas where necessary but the sound of the engine should tell you what you need to do. First thing’s first: don’t panic! Spinning the wheels will make things worse. If you’re not going anywhere forwards, try going backwards. It stands to reason the ground should be more solid because you’ve already been over it without getting stuck. Plus, reverse is a lower gear so should help you get more traction. If that doesn’t work, ask your passengers to push. If they agree – and I can’t promise they will! – it might be just the extra oomph you need to get going again. Alternatively, put some wood or stones ahead of the driven wheels (usually at the front of the car). You can even use your car’s mats if you’re desperate and don’t mind trashing them. You’re just looking for something that will help the wheels gain purchase. If none of that does the trick, what about a tow? But only from a suitable vehicle. You don’t want two cars stuck! A 4×4 or tractor usually does the trick here. Both have low ratio gearboxes and frequently proper tyres. This enables them to get traction where a regular car will struggle. 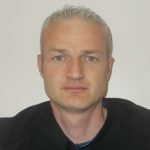 And ideally the person giving the tow will have professional experience of doing it.